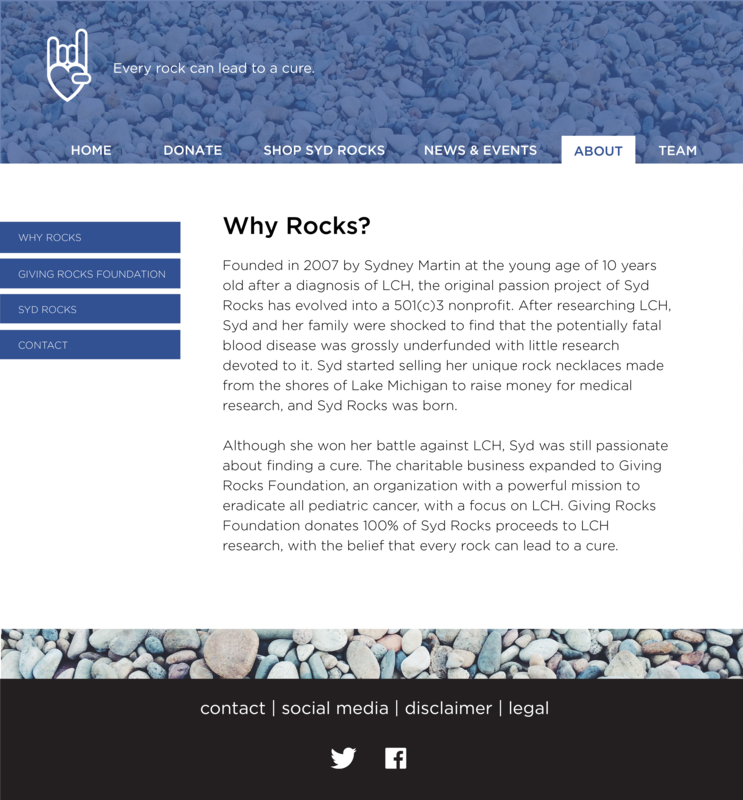 We wanted the site to quickly educate visitors about the story and mission of the organization, let them shop for rocks, and encourage them to donate to the foundation. 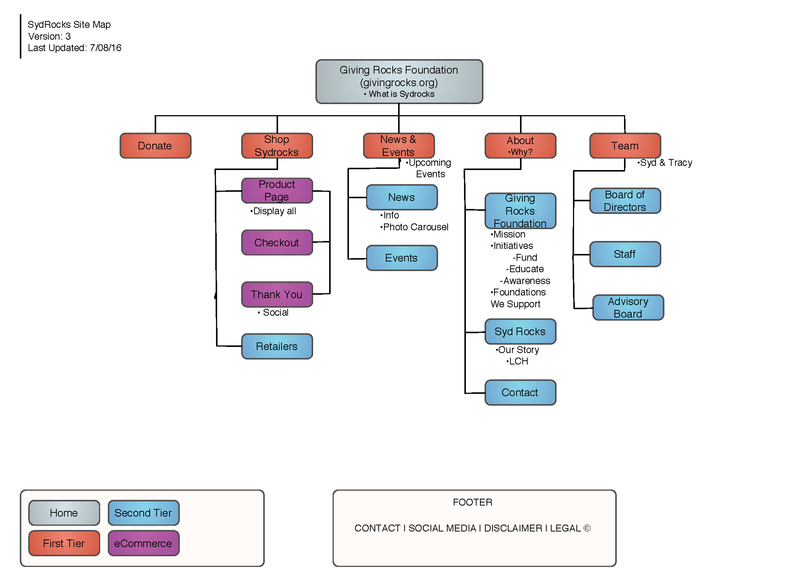 One difficulty was contextualizing the subsections of the organization. 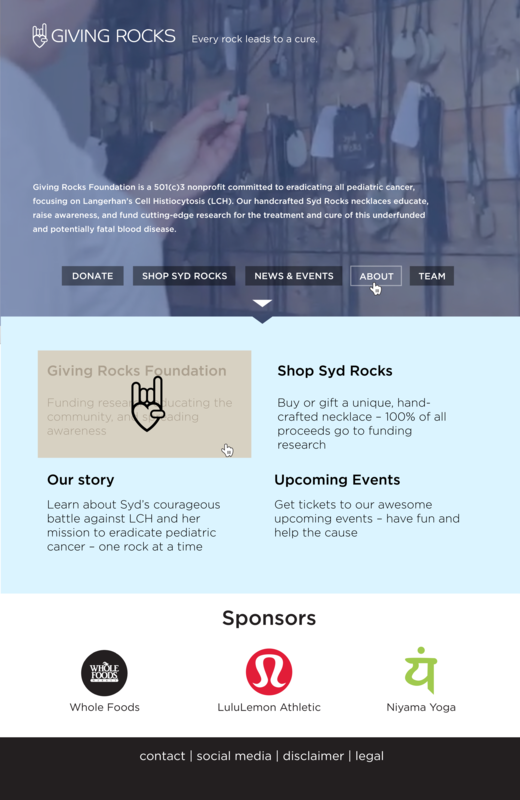 Syd Rocks is the vendor that actual sells rocks to raise money, and Giving Rocks is the larger foundation that uses that money invest in research, fund events, etc. Our client wanted to appeal to a hip site that appealed to a younger generation ("it should feel like a beach"), while still appealing to prestigious organizations and potential donors. They really liked the idea of incorporating a video into their landing page. 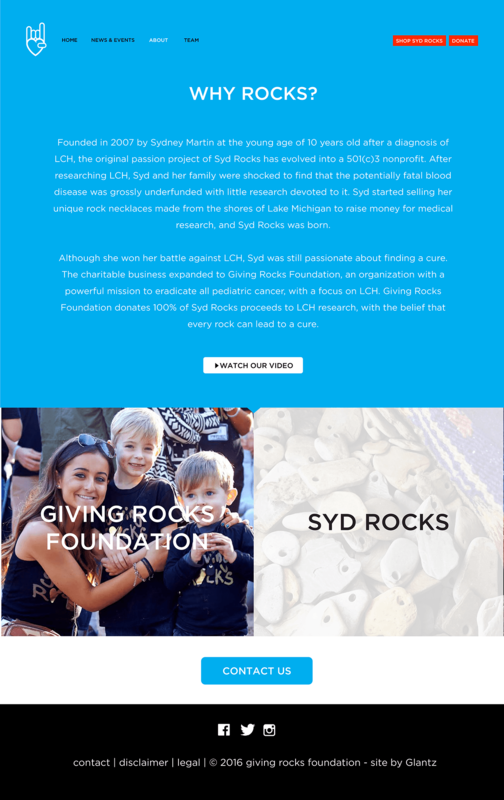 I shifted toward a simpler, more image-heavy design for the home page, and split the two Syd Rocks and Giving Rocks into their own sections on the about page. The splash image on the mockups below was a placeholder for the background video I made later. I used footage I found from past Syd Rocks events to piece together a concise video that could be used on the landing page. This was one of my first projects iterating on mockups based on actual client feedback. I had a lot of fun figuring out how to simplify the navigation and nest information in way that made sense, and creating the feel the client wanted. If I could do it again, I would spend more time sketching and wire-framing before jumping into high fidelity mockups.